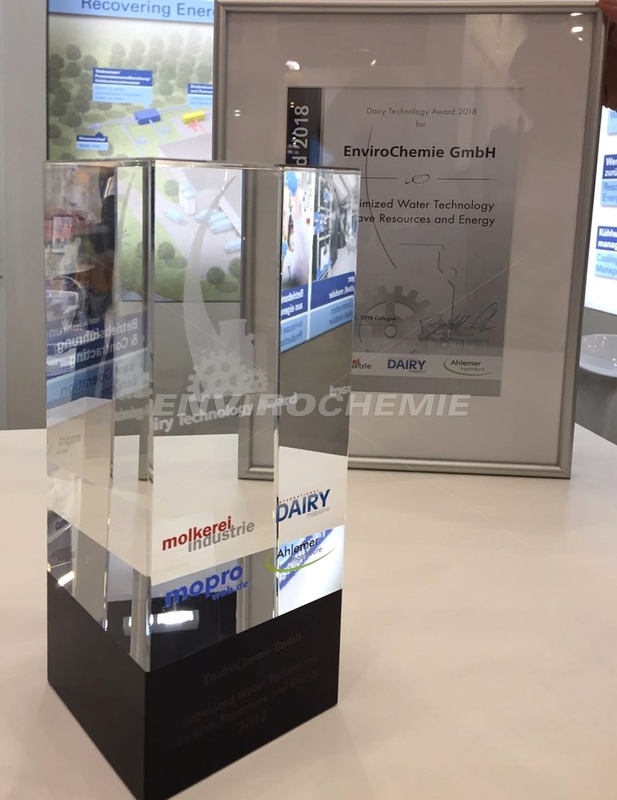 The Dairy Technology Prize 2018, awarded by the professional magazines dairy industry and International Dairy Magazine and the Association of Ahlem Engineers, went to EnviroChemie in the category Environment & Sustainability. The award honoured to the concept for optimized water technology in large dairies, which can save resources, energy and operating costs. 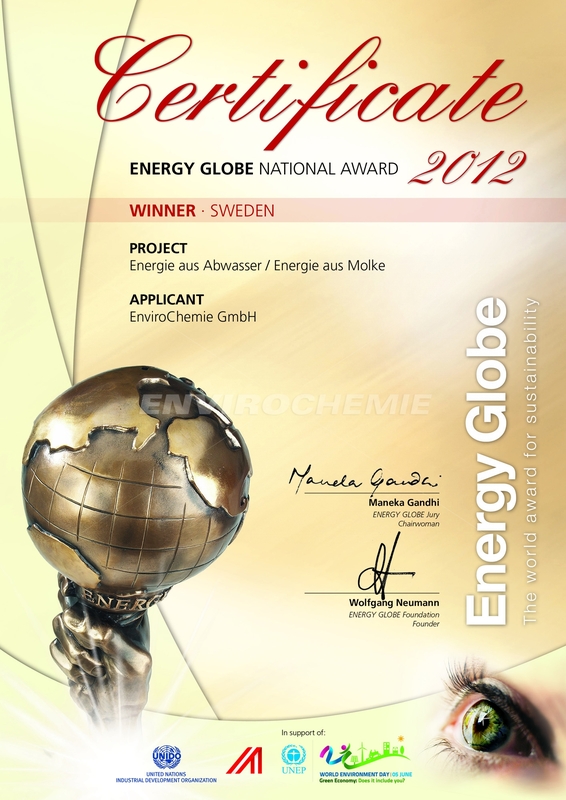 EnviroChemie was honoured in the Environmental Protection category for its rainwater treatment project at Aurubis Bulgaria. The water, which is primarily contaminated with copper, but also with other heavy metals and arsenic is processed until it achieves direct discharger quality. It is then filtered and released directly into the watercourse of a mountain stream, which is used as a source of drinking water for residents in the region, very low discharge values must be respected. We impressed the jury with our "Energy from waste" concept, involving biological wastewater treatment with simultaneous biogas production and heat recovery. The VDMA had launched an author competition among its members as part of its Blue Competence sustainability initiative. The dairy technology prize was presented on 21st of March 2018 in Cologne during Anuga FoodTec.